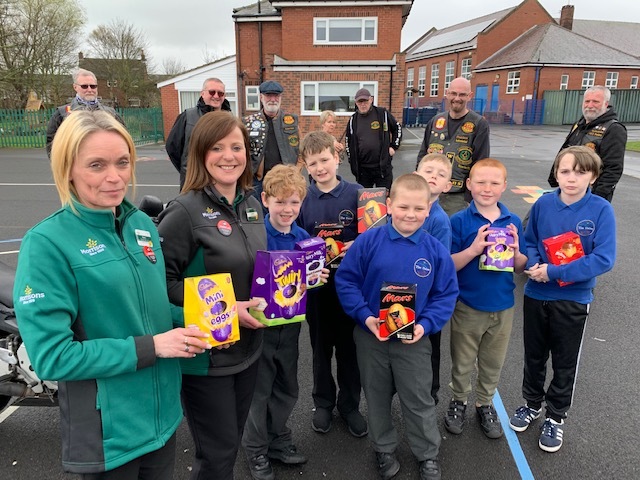 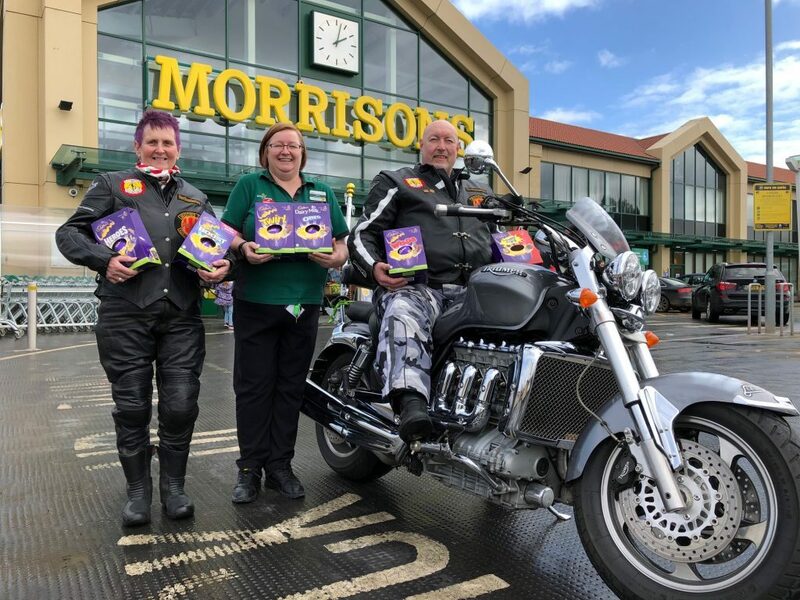 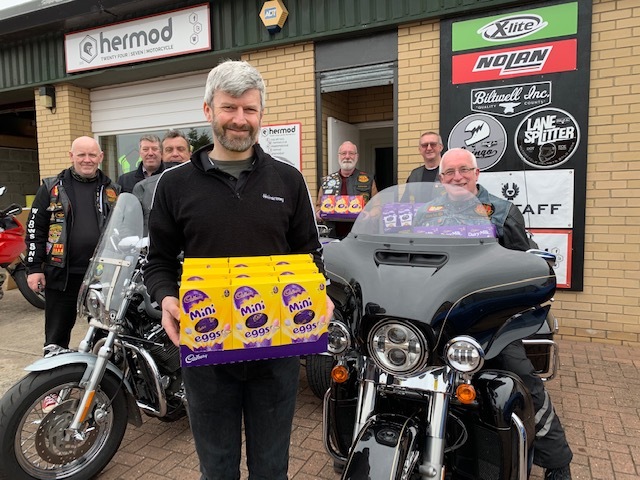 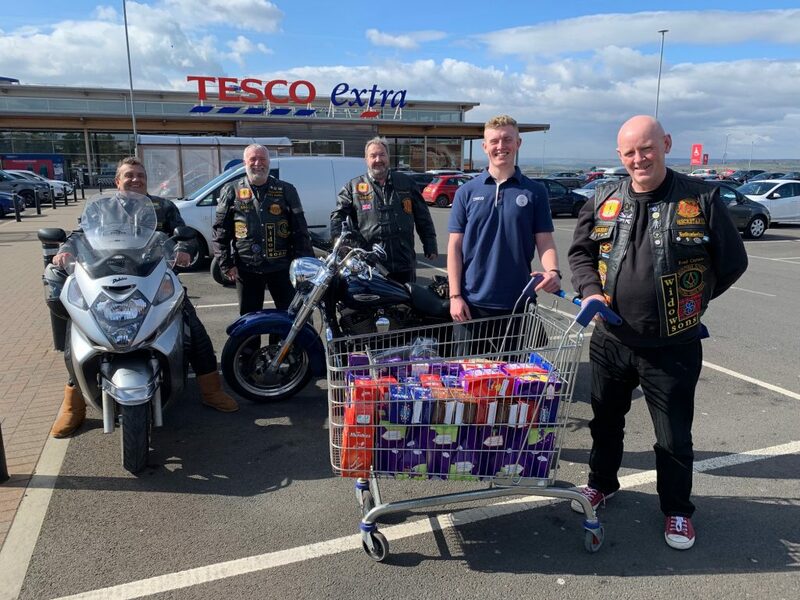 North East supermarkets and businesses have donated an eggstrodinary amount of Easter Eggs to a Northumberland motorcycle association. 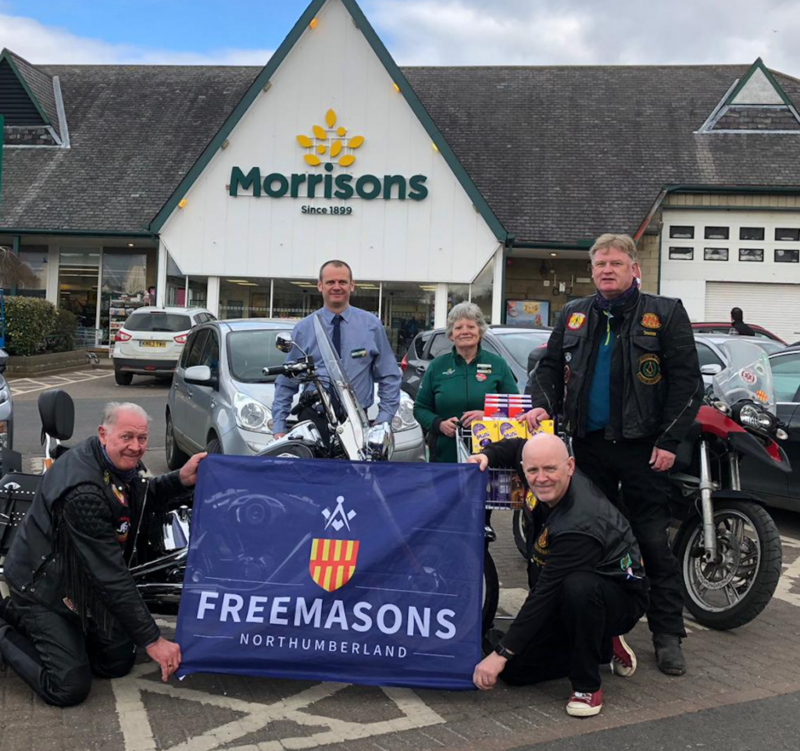 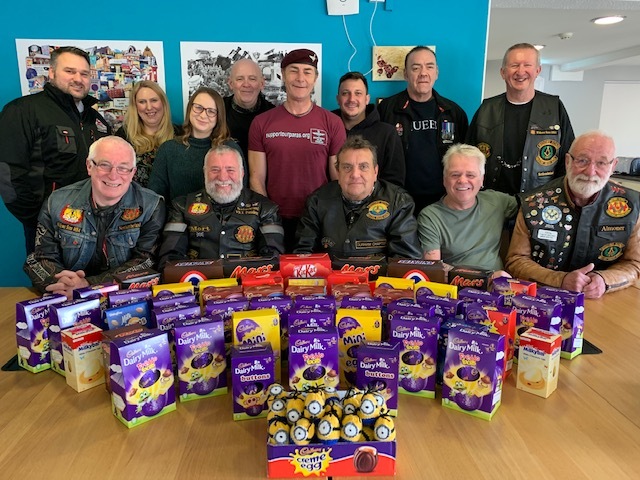 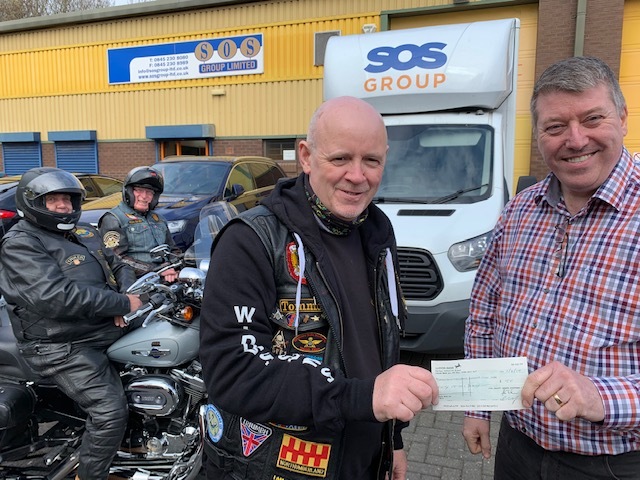 The Northumberland Chapter of the Widows Son’s Masonic Bikers Association will make it an Easter to remember for deserving causes when they deliver donated Easter eggs to special schools, care homes, food banks and a children’s centre. 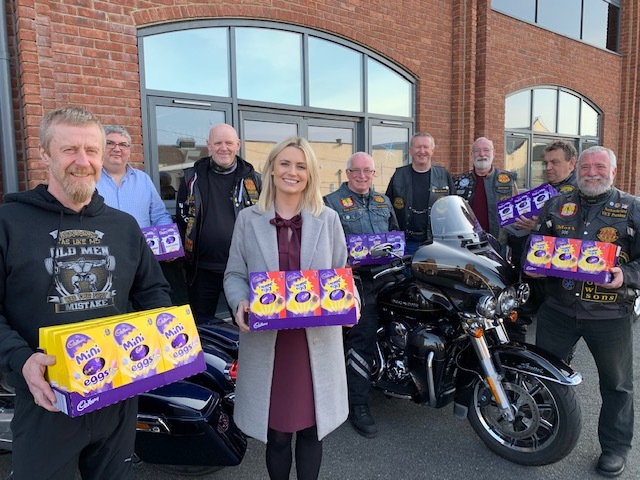 This Easter, around 30 motorcyclists will travel to a number of special schools across North Tyneside, Newcastle and Northumberland delivering more than 800 Easter eggs which have been donated by generous supermarkets, businesses and kind-hearted donations from individual freemasons and masonic lodges in the Province of Northumberland. 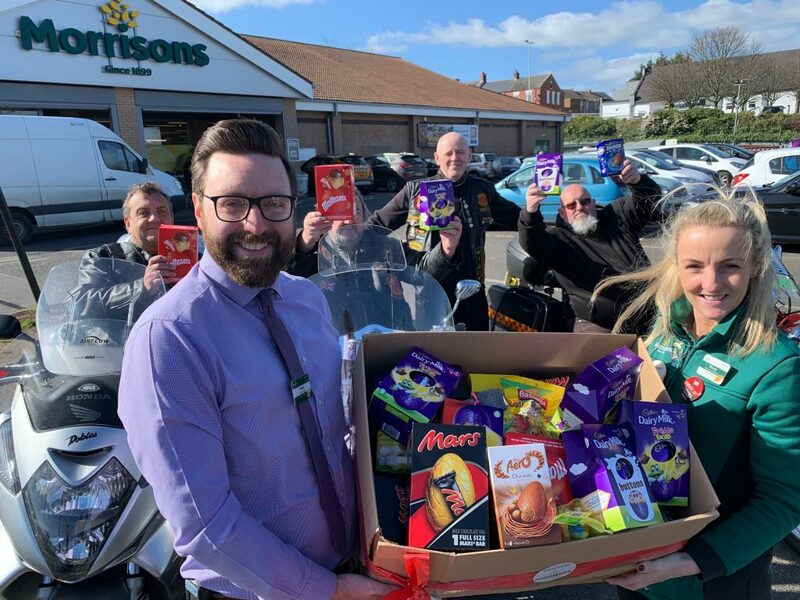 Businesses donating eggs include Morrisons Supermarkets in Berwick, Alnwick, Morpeth, Blyth and Bedlington, Tesco Extra in Consett, Executive Compass in Newcastle, Launchpad in Byker, Smart Office Systems, Hermod Motorcycling (both from Team Valley) and The Flower Port in Newbiggin by the Sea. 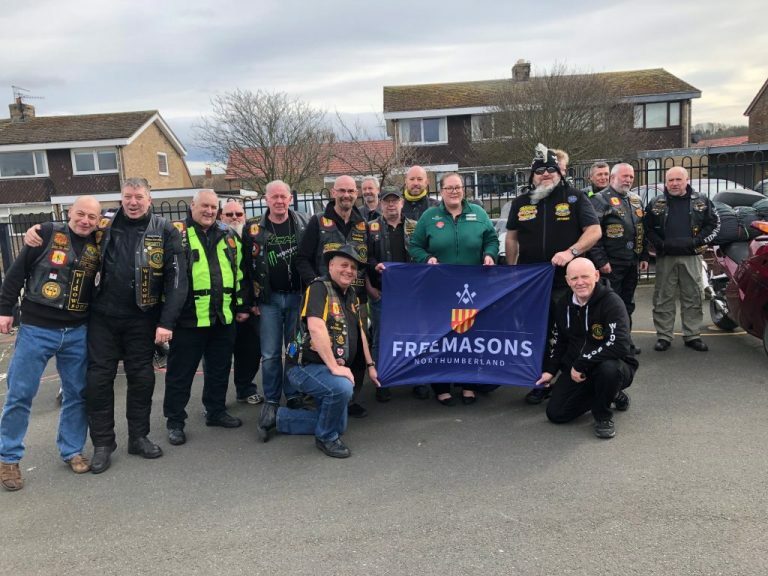 The Widows Sons is open to all Freemasons who enjoy the sport of motorcycling and throughout the year they help to raise awareness of the work of the organisation as well as raising much needed funds for charity themselves.